Expanding your horizons è il nuovo ed esclusivo workshop previsto per il 14, 15 e 16 giugno 2019 a Magazzini Fotografici, tenuto da Chris Steele-Perkins, fotografo dell’agenzia Magnum Photos e Laura Noble, direttrice della L A Noble Gallery di Londra. Il workshop sarà interamente in lingua inglese. Di seguito tutte le informazioni utili in lingua inglese e in lingua italiana. Expanding your horizons: raising your photography to the next level. Portfolio reviews by Chris Steele-Perkins and Laura Noble. Discuss shooting, and start shooting in the afternoon on given themes. 09:00 – 11:00 Lecture and Q&A – CSP speaking about how he works and questions on all aspects of his practice and photography in general. Laura is happy to see completed and incomplete projects which need direction. Advising on both aesthetic, stylistic and thematic concerns she will give research guidance, from both a practical and technical standpoint. She will also advise on where your work may appeal in both the art and commercial spheres of photography. In appraising your work, from both perspectives with Laura’s keen eye for detail she will be showing you how to find and connect to your audience. Using her breadth of art history knowledge from all aspects and genres she will suggest other artists/photographers to look at and give examples of parallel philosophies to compliment your approach to your work and/or a specific project – often suggesting avenues to look into in the future, beyond the workshop sessions. Finding the historical context of your work to guide you through the theoretic areas of your photography, which can prove fruitful when exhibiting and discussing your work in the future with gallerists, publishers and curators. Laura will help you to gain confidence on both your work and engagement with the wider art/editorial world. 14:00 – 18:00 Discuss shooting and then start shooting on given themes. Discussing the shoot for the day, continuing on given themes started the day before, expanding on the work made so far to fill in any gaps which may have arisen or expand on elements of interest from the day before. After uploading your images, we will review the work shot so far and discuss potential improvements, successful outcomes and direction of focus for each student. 16:00 – 18:00 Shooting individual portraits and group portraits, as well as other assigned shooting tasks, both on site and nearby locale. 14:00 – 15:00 Talk by Laura Noble on editioning and pricing / working in a series, followed by a Q&A. Talk: When working in a series there are many decisions to make in order to tell your story or complete your narrative. Laura will discuss the movable object which is working in a series, how to approach a project through preparation and foreseeing potential hurdles which can be overcome through her easy to follow steps. She will also discuss the presentation of said series and how different approaches can yield different outcomes, depending on where and how they are delivered and exhibited. Titling images, when is it best to title each one individually v’s one series title and keeping the images all ‘untitled’ as part of a bigger whole, amongst other considerations? She will also give advice on the best ways to edition and price your work appropriately for your chosen area/market. Editioning principles are very specific and important to collectors including private and public clients and institutions. Learning how best to edition correctly and how it can help your work appeal to collectors and galleries. 15:00 – 18:00 Review and edit work to establish chosen final selection. – Students to have usable level of cataloguing and editing software, such as Lightroom and Photoshop or similar. – Shooting in raw and jpeg. Please, come equipped with some project ideas and themes you would like to start exploring during the workshop. The workshop is designed to shake up your understanding and preconceptions of photography – including your working practice and to start to look for your direction and voice within the medium. Chris Steele-Perkins moved from Rangoon to London with his family in 1949. He graduated with honours in psychology at the University of Newcastle-upon-Tyne (1967-70) while working as a photographer and picture editor for the student newspaper. In 1971 he moved to London and started working as a freelance photographer and began his first foreign projects in 1973 in Bangladesh, followed by work for relief organizations and travel assignments. In 1975 he worked with EXIT, a group dealing with social problems in British cities. He then joined the Paris-based Viva agency in 1976. In 1979, his first book, The Teds, was published. Chris joined Magnum Photos and soon began working extensively in the Third World. His latest large-scale project in the developing world was on the situation in Afghanistan. He is now also working extensively in Japan and England. His reportage has received high critical acclaim and has won numerous awards, including ‘The Robert Capa Gold Medal’ (1989), ‘La Nacion Premier Photojournalism Award’ (1994), World Press Award, ‘Daily Life’ (2000), Arts Council GB Award (2010) as well as many high profile museum acquisitions of his work including a set of ‘The Pleasure Principle’ purchased by The Tate (2017). Steele-Perkins has many published monographs including: Fading Light about centenarians (people who have lived to be over 100 years old, England, My England, (a personal retrospective of work shot in England over the last 40 years). 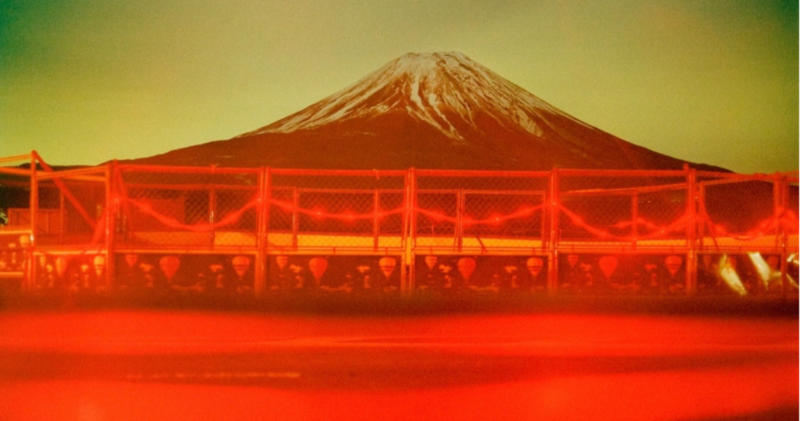 He has also made two books exploring Japan and its culture titled: Fuji and TOKYO LOVE HELLO. A forthcoming retrospective book on his work in Japan is set for publication in 2020. Laura Noble is from Manchester, born in 1974. She is an English gallerist and writer. Her book The Art of Collecting Photography (2007) propelled her career as both a collector, curator and art consultant specialising in photography. She has written for numerous publications including The Observer Review, Next Level, Foam, Snoecks and Image magazines and primary essays in many monographs. After several years at The Photographers’ Gallery she was selected (2010) as the host gallery for the Prix Pictet commission by Ed Kashi. Noble founded L A Noble Gallery (LANG) in 2012. LANG represents well established artists, and also prides itself on discovering emerging talent. Laura Noble launched, produced and curated FIX Photo Festival in 2016 – now approaching its fourth edition – featuring exhibitions, curator led tours, artist talks, film screenings and a programme of workshops. A passionate advocate of photography in all its forms, she lectures in the UK and abroad to students, photographers and collectors on the subject. Since 2011 Noble is a visiting lecturer at nine universities in the UK including Brighton, Falmouth and Kingston University, University of Westminster, Falmouth University, Anglia Ruskin University, Cambridge and Sotheby’s Institute of Art, London. She has delivered many seminars and symposiums on collecting photography at Beyond the Lens Festival, London (2016), The National Museum of Warsaw (2015), Foam Amsterdam (2013), Fotofever, Paris (2013), London Art Fair (2012), Fotogalleriet, Oslo (2011), Glasgow Art Fair (2008) and at Fundacio Foto Colectania, Barcelona. Laura Noble was selected for the panel of international experts delivering portfolio reviews at Les Rencontres d’Arles (2009 – present). She has also been a judge for many photographic competitions, an ambassador for RPS 100 Heroines campaign, juror Cork Street Open (2011), The AOP Awards (2013), The London Photo Festival (2014) and was selected as the sole juror for the 8th Julia Margaret Cameron Award (2015) and is a Prix Pictet nominator. She has also curated exhibitions in museums and the AOP Awards in 2016. Un workshop intensivo, della durata di tre giorni, interamente in lingua inglese. € 500, inclusa la tessera associativa 2019 a Magazzini Fotografici. Nel prezzo non sono inclusi i pasti e il pernottamento. Portfolio Review con Chris Steele-Perkins e Laura Noble. Si decideranno gli argomenti da trattare con una prima fase di scatto sulle tematiche scelte. 09:00 – 11:00 Lecture e Q & A – Chris Steele Perkins presenterà il suo lavoro e risponderà alle domande degli studenti. 11:00 – 13:00 Chris Steele-Perkins e Laura Noble recensiranno i portfolio presentati dai partecipanti. Laura Noble offrirà la sua consulenza per ottimizzare i progetti presentati, completi o incompleti che siano, fornendo consigli e direttive utili su questioni estetiche, stilistiche e tematiche. Fornirà inoltre spunti utili di ricerca, sia dal punto di vista pratico che tecnico e orientamento nel mercato dell’arte e dell’editoria nonché nella ricerca di un adeguato pubblico di riferimento. 14:00 – 18:00 Inizio della fase di shooting sulle tematiche scelte. 08:00 – 13:00 Si discuterà sul lavoro della prima sessione e proseguirà la fase di scatto. I primi scatti realizzati saranno passati in rassegna colmando eventuali lacune e individuando i punti di forza di ogni partecipante. Nel pomeriggio sarà svolta una nuova e più approfondita fase di analisi, saranno quindi individuati i miglioramenti da apportare, i primi risultati ottenuti e le potenzialità di ogni progetto presentato. 16:00 – 18:00 Ritratti individuali e ritratti di gruppo. Post produzione nel tardo pomeriggio. 14:00 – 15:00 Talk su editoria e prezzi; sulle tecniche di presentazione dei progetti + sessione di domande e risposte. Nell’elaborazione di un progetto fotografico ci sono molte decisioni da prendere per migliorare lo storytelling e la narrativa del proprio lavoro. Un focus particolare sarà dato alle incertezze e ai punti di debolezza riscontrati nei progetti presentati e si dibatterà a lungo su come affrontare un progetto attraverso la preparazione e la previsione dei potenziali ostacoli. Altro argomento di approfondimento saranno le tecniche e le diverse tipologie di presentazione dei lavori ultimati, in base al proprio mercato e alla propria area geografica. 16:00 – 18:00 Ultima revisione dei lavori e selezione finale. Si consiglia a tutti i partecipanti di arrivare già con alcune idee, temi o progetti da sviluppare durante i giorni di workshop. Il workshop è pensato per cercare una nuova direzione nel mondo della fotografia, per offrire tutti gli strumenti necessari per migliorare il linguaggio visivo ED ESPANDERE COSÌ I PROPRI ORIZZONTI. Chris Steele-Perkins, classe 1947. Studente di psicologia prima che fotografo, dedica i suoi primi lavori alle popolazioni con difficoltà sociali delle città inglesi. Per un lungo periodo fa parte del collettivo EXIT, collaborazione che culminerà con l’uscita del volume Survival Programmes. Nel 1979 pubblica la sua prima opera personale, The Teds, che esamina la subcultura britannica dei Teddy Boy degli anni Cinquanta, Sessanta e Settanta. Successivamente, Steele-Perkins inizia un lungo periodo di viaggi, scattando in Africa, Afghanistan e, più avanti, in Giappone. Dal 1979 è membro dell’agenzia Magnum Photos. Laura Noble è una scrittrice, gallerista e artista inglese. Ha scritto per importanti riviste fotografiche tra cui Next Level, Foam, Snoecks e Image. È stata per un lungo periodo contributor per il London Independent Photography e Editor per il Photoicon Magazine. È autrice di numerose monografie e del volume The Art of Collecting Photography. Dopo diversi anni alla The Photographers ‘Gallery, ha fondato la Diemar / Noble Photography Gallery a Londra insieme a Michael Diemar. La galleria ha esposto una vasta gamma di lavori fotografici, partendo dalle opere di rilevanza storica alle opere contemporanee, con l’obiettivo di promuovere la fotografia nella maniera più ampia possibile. Dopo la chiusura della la Diemer/Noble Gallery, nel settembre 2012 Laura inaugurerà la L A Noble Gallery, presentandola alla Unseen Photo Fair di Amsterdam. La galleria rappresenta artisti affermati e giovani talenti emergenti con particolare attenzione alla fotografia contemporanea. Dal 2016 Laura Noble produce e cura il FIX Photo Festival, un evento annuale, con tour guidati dai curatori, incontri con artisti, proiezioni di film e un articolato programma di workshop. Qui l’articolo di Magnum Photo sul workshop.